Jewelry making, when I first began, seemed a difficult craft to undertake. I initially took on the challenge of creating my own focal pieces of jewelry due to the cost and difficulty finding in retail just what I was looking for. I made a couple of trips to our local craft store and was overwhelmed with the products available for beading and jewelry making. 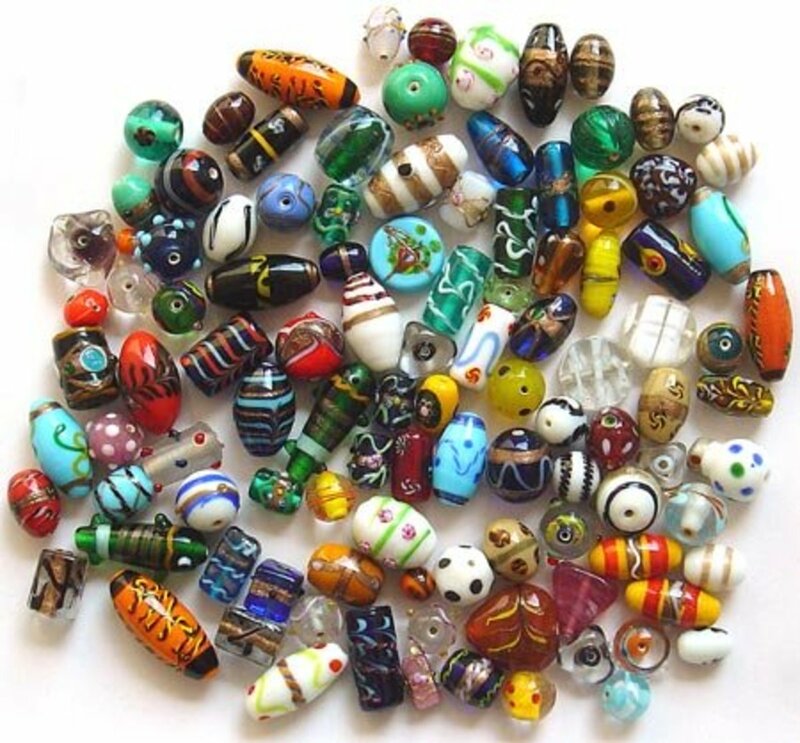 How were beads attached to make the beautiful pieces I had seen and previously bought? What were eye pins and head pins and what were they used for? How were clasps and beads and chain connected together to make an eye-catching piece? I eventually did my homework and learned the language of jewelry making. The following are what I consider the bare essentials of the craft. 1. Chain–nose or needle nose pliers: This tool which has a tapered flat nose is used for bending and straightening wire. It can also be used when crimping and opening and closing jump-rings. Avoid the type with ridges on the bottom edges as they can mark your wire by leaving imprints. 2. 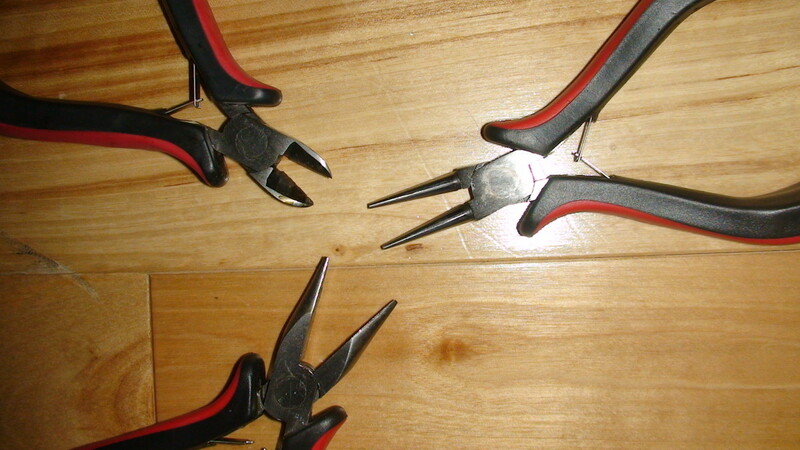 Wire cutters: My general purpose wire cutter will cleanly cut through hard and soft metal. I use this tool to take apart jewelry when an adjustment is required, to cut through chain and also to cut headpins to size. 3. Round-nose pliers: The nose is made of two tapered, graduated cones which are used for making various sized loops in wire. The size of the wire loop is dependent upon where on the nose the wire is placed. These are the main components I use most often when making beaded jewelry. They are used as connectors, fasteners and elements to finish-off a piece. 1. 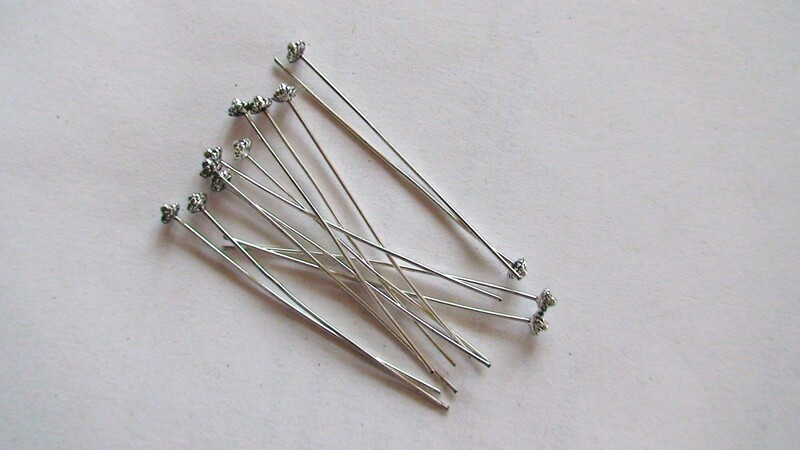 Head pins: I make sure I have a large quantity of a few sizes available always. 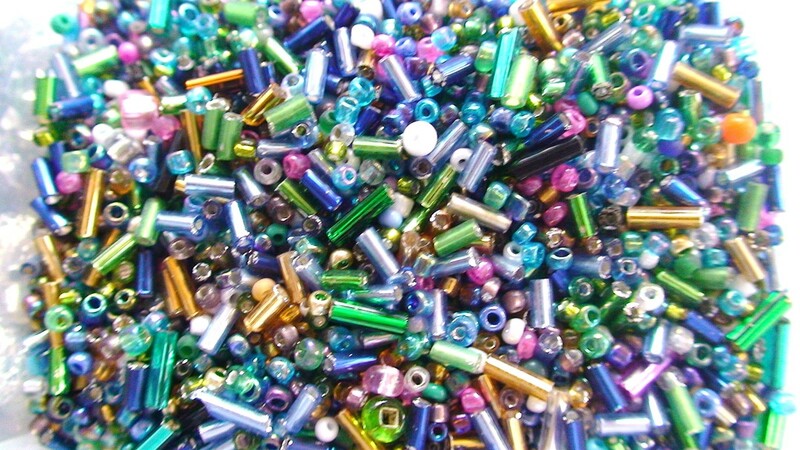 Beads are most often threaded onto a head pin to be connected to chain or other similarly threaded beads. Loops at one or both ends allow for the connection of other components. 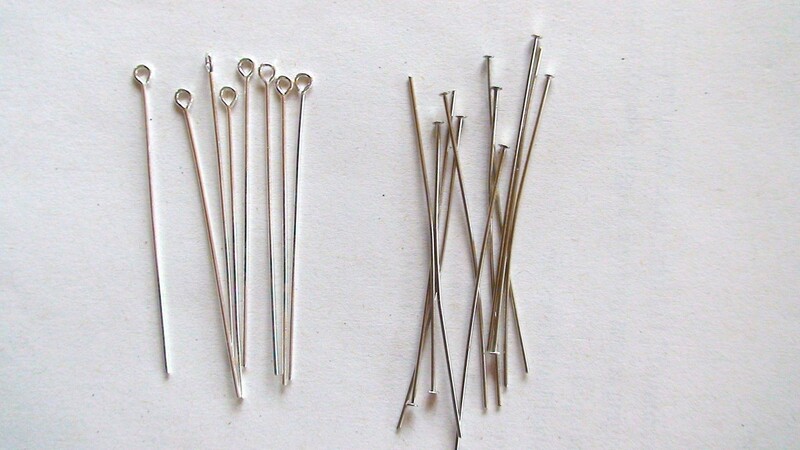 There are four varieties of head pin which can be utilized as mere functional components or part of the overall design of your piece. d. Decorative pins such as Bali pins and vermeil pins add an ornamental finish to your design. 2. 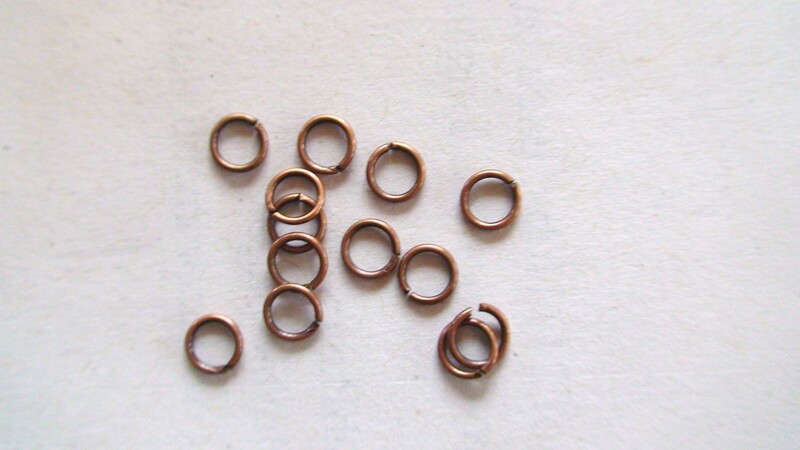 Jump rings: I also make sure I have a large quantity of a few sizes of this finding on hand always. These circular rings of metal can attach two links of chain together. 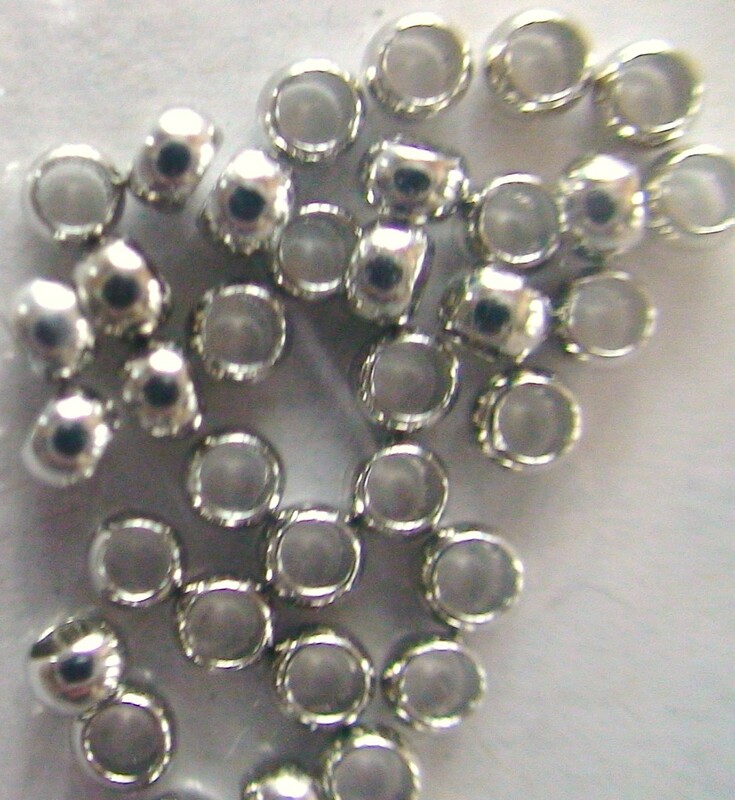 I most often use them for attaching beaded components to chain or earring wires. 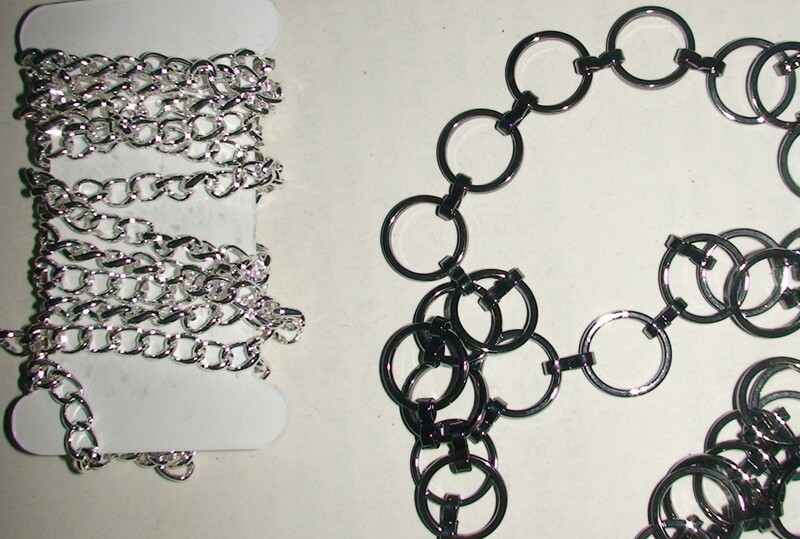 Jump rings are open and closed using both pliers to gently pull open the ring. 3. Crimps: These are small, hollow beads through which stringing wire or material is threaded. The crimp is then squeezed shut with chain-nose pliers. Crimps are most often used when stringing beads for anchoring beads at certain points on the string and for attaching a clasp and ring. 4. 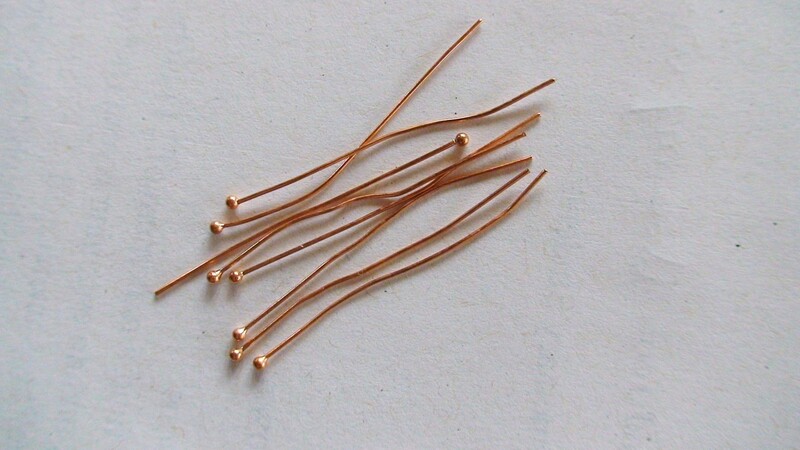 Bead tips: These are also known as calottes and are used to complete a beaded necklace strung with stringing wire or other stringing material. They are often used to hide crimps, providing a neater appearance to your piece. 5. 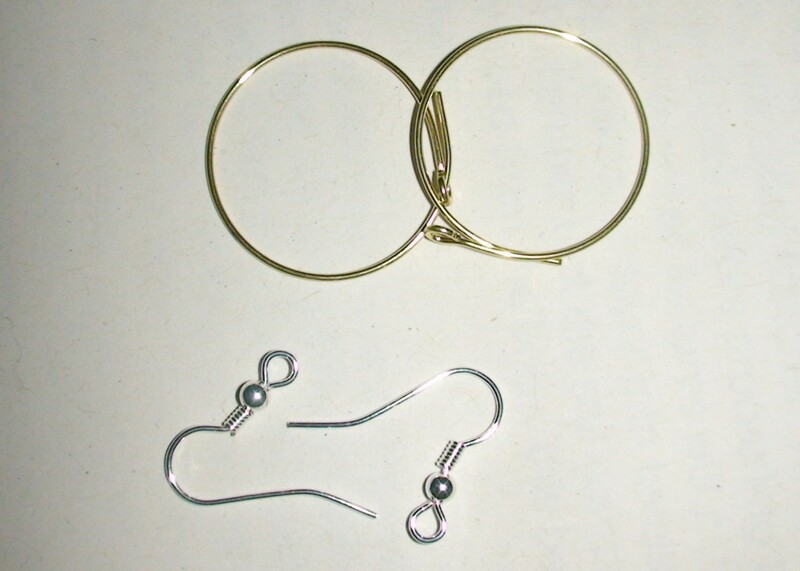 Ear wires and hoops: I use mostly ear wires when making my own earrings as I prefer the style. I have also made a few hoop style earrings and a simple chandelier earring. Ear wires and hoops make quick and simple projects. Chandeliers present a more complicated, elegant design. 6. Clasps: They are used to attach the two ends of a necklace or bracelet together and can be simple or an elegant part of your design. The ones I most commonly use are the lobster claw and the toggle clasp. 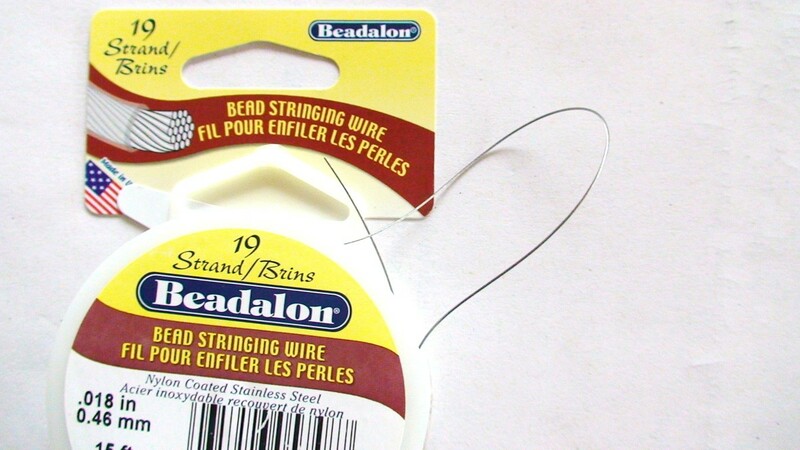 When I string beads, my favorite material is 19 strand bead stringing wire sold by Beadalon©. It is thin, flexible, easy to cut and fits most beads. A similar stringing wire sold as Tigertail© can be found in a multitude of colors. I prefer the natural silver look myself. Finer chain is useful when making chandelier earrings and as an accent to bead-projects. 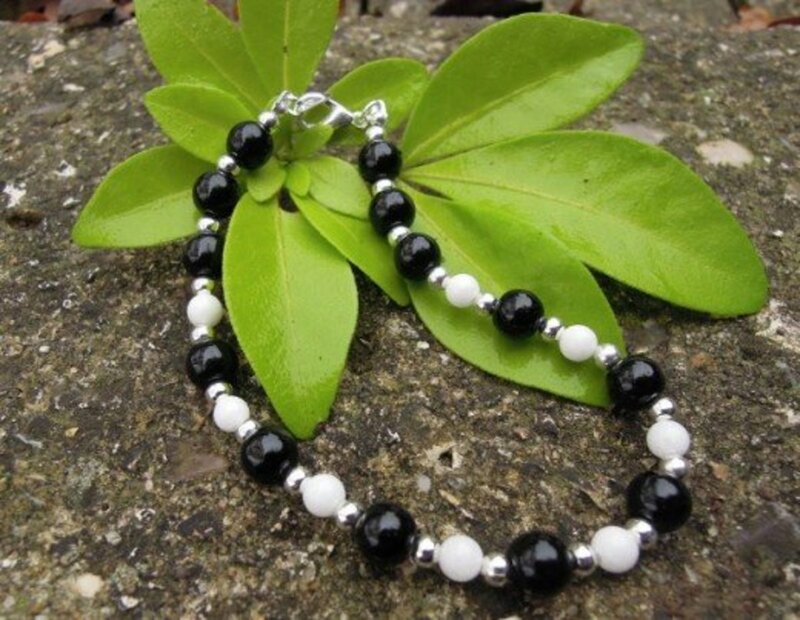 Multistring necklaces and bracelets utilizing different types of chain are very attractive. 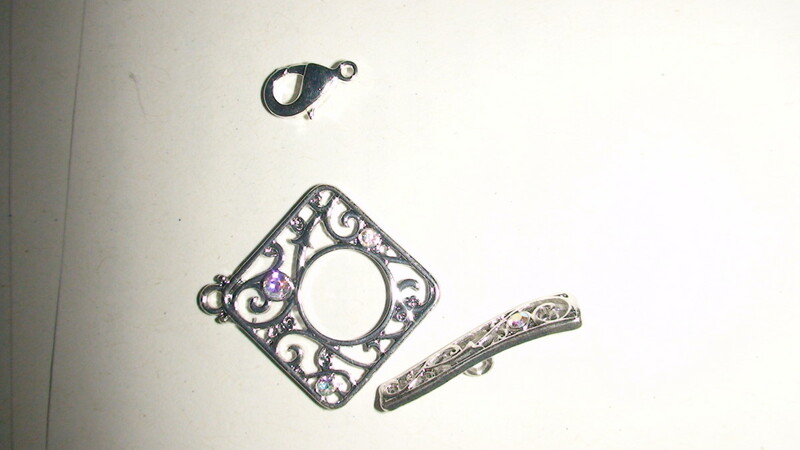 Small sections of chain are also useful for connecting bead sections together. 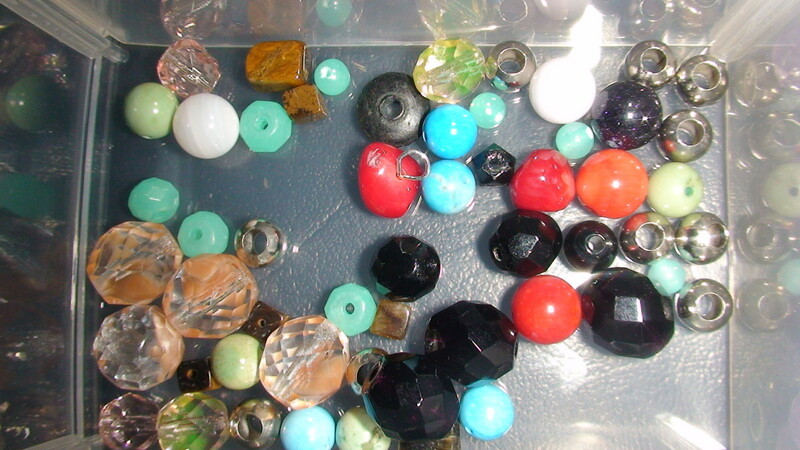 Beads can be found in a variety of shapes, sizes, hole configurations and colors. 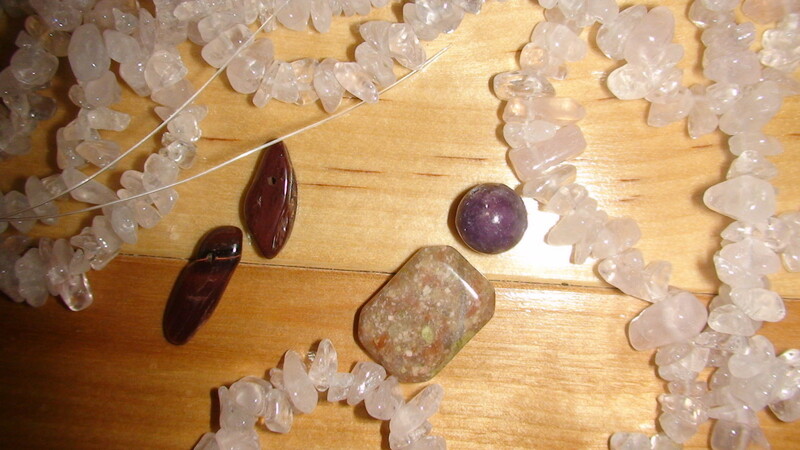 I keep a variety on hand including crystal, glass, metal and gemstone. In that way, when I am working on a project, my creativity is not stifled by lack of materials. I have purchased in store and online. Especially at the beginning, I loved to go into a craft store and see the products and feel and see the beads I would purchase. Retail buying of jewelry supplies is a much more expensive prospect and I only use it now if I am running low of a component for a current project. Otherwise, I buy online. If you type ‘jewelry making supplies’ or ‘beading supplies’ into a search engine, local online vendors for your jewelry making needs will appear. Be sure to check their shipping and handling fees and custom fees if ordering out of country. Many of the online companies I have checked into have a flat-rate shipping fee which is very helpful for large orders. The above list of materials I have found kept me satisfyingly busy preparing my first projects and beyond. I started with a bit less as I was tentative about mastering the art of jewelry-making (and by no means have I reached mastery level yet). However, looking back at my infancy in the craft, I have modified the list of essentials provided in this hub to include those things that when left out made the process of creativity and the ease of working on projects much more difficult. Good luck and enjoy the process of jewelry-making. It is a satisfying and creative outlet! Hi folks, I am interested in making sterling silver bracelets with charms, however I don’t know how.. These charms are very unique and I would need tips on how to bend and even colour pieces. Thanks Larry. It is an interesting craft. I have a girlfriend who makes stunning jewelry. I wish I had half her talent but I have fun experimenting none the less! Interesting article about jewelry making, Teresa. Whenever I see any article concerning jewelry making I have to read it. My father was a famous silversmith in eastern Pennsylvania and he make beautiful sterling silver jewelry. 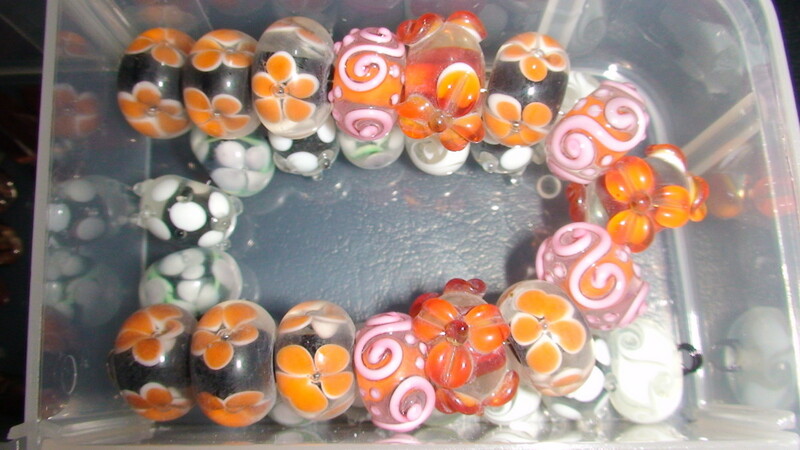 Jewelry making comes in many different forms and styles. Thank you very much for sharing your thorough knowledge on Jewelry creating tools and supplies. I went threw hours of book reading and internet research to find beginner jewelry information and it has been a confusing time has many authors at times think others already know about basic knowledge like chain types and bead choices ect. It was just really nice to have you share this article because it answered alot of my questions and definitely helped me understand the world of jewelry making much better. Very greatful, Thank You!! Thanks for the info. Thumbs up 4 de great job. The hub is very useful especially for beginners in this field. Very good written and informative hub. justmesuzanne, thanks for the vote up. So glad you found this hub useful. Hope you get back to making your own jewelry! Thanks Anamika. I hope you share some of your efforts with your friends on hubpages! Jewelry making is something I wanted to try too ever since a friend gifted me a book on it. Thanks for this useful Hub, voted up! Kevin Peter, glad you found the information useful. The creative process is a wonderful thing. I hope you get a chance to try some of the techniques in my hub! The Jewelry Making Supplies mentioned in your hub would be very useful for beginners. I love to try the art of making such things. Your hub is very wonderful. Practicing such things will surely increase creativity. 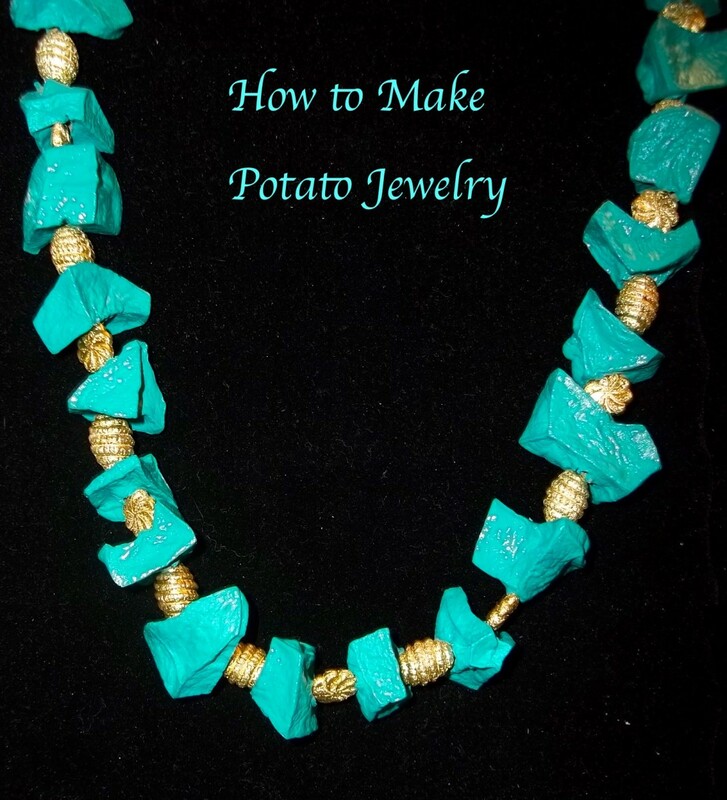 lulu hewitt, I am sure you will love the creative process of jewelry making. Good luck! I think I might have to get some of the stuff and try it out. Thanks for the article. sparkleyfinger, so glad you will find this of future use. I will soon be working on a series of bracelets. They should be published as an exclusive hub. Hope you will check it out in the near future. Enjoy discovering the usefulness of your toots. It is a joy when you can put them to creative use making brilliant pieces of jewelry! Useful hub, have pinned it! Will definitely reuse this one in future, as I have the tools, but if I'm honest, I don't know exactly what they are used for. Great hub, thanks! Up and useful! carrierichard, so glad you found it useful. Good luck in any creations you are inspired to make! Thank you for the basics great informative hub. Emmanuel, thanks so much for the generous comment. And no, I had thought of using fishing line but never did try. II will be sure to use it for my next projects. Thanks for the tip and the share! Keep well my friend. Speaking as an artist, this is as detailed and generous as you can possibly be about DIY jewellery making. Great for sharing with other enthusiasts. 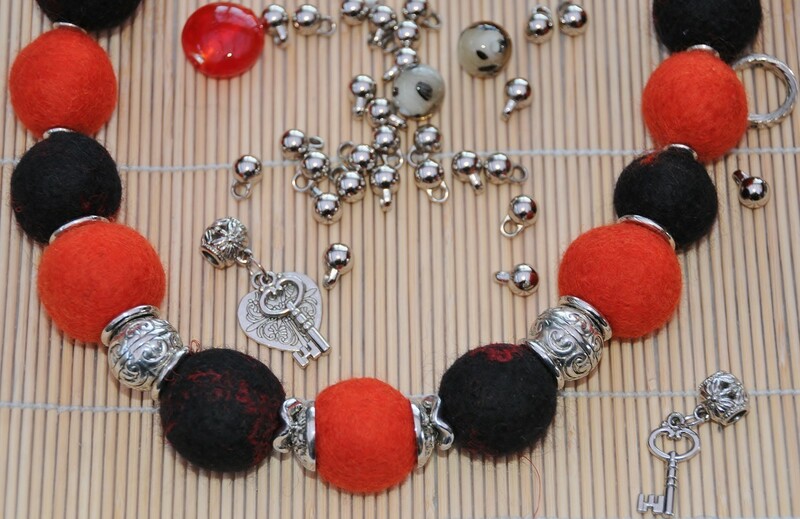 Have you tried 'fishing line' for stringing the beads? It comes in a variety of thicknesses, doesn't stretch easily and is very flexible - in Nairobi we buy it from a sports shop. Shared! 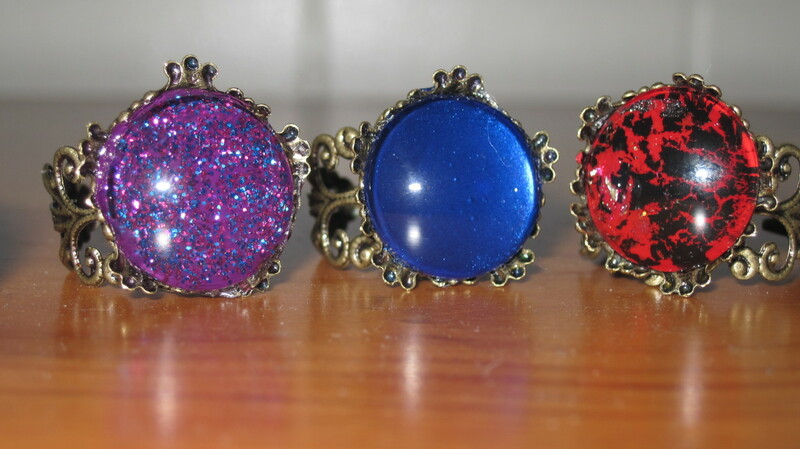 Glass-Jewelry, thank you for the lovely review. I am also still investigating different materials for stringing beads. I too find nylon tends to stretch. Some metal wire has much too little flexibility and you lose the nice flow to a hanging necklace. To find strength, flexibility and durability is a challenge. I too am searching for a better alternative. If I come upon an alternative I will add to my hub! Congratulations! Your article is really well done, simple but complete for those who want to start. 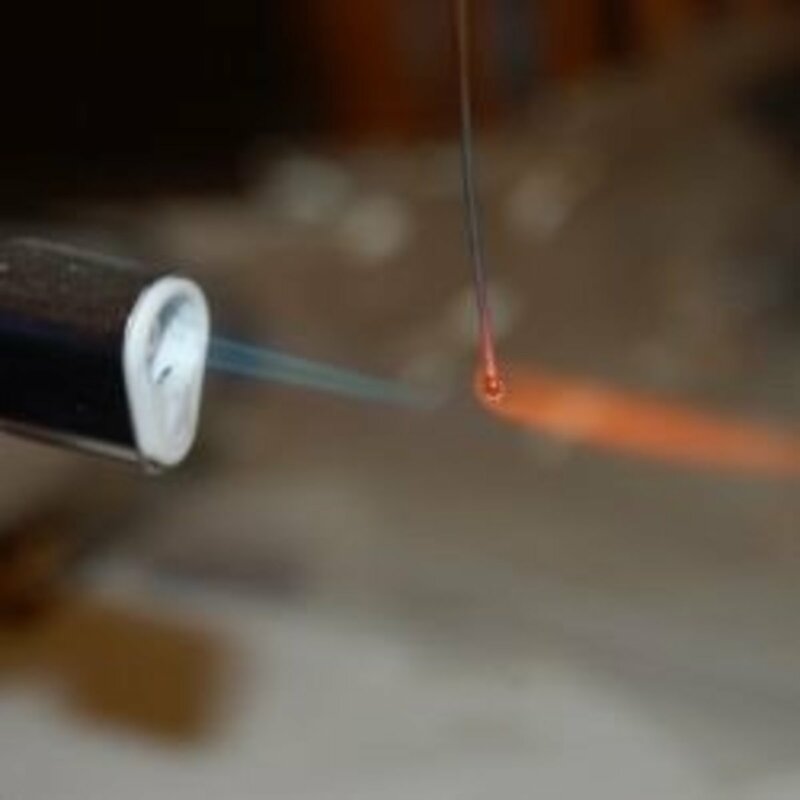 With regard to the section on the wire to use, I have poor information about it, normally we use waxed cotton because it represents the classic material used by the jewelry of Murano glass bead makers. However it presents some drawbacks due to its poor durability. The nylon wire does not seem very suitable because it is too elastic and it tends to deteriorate with time. Even the metal (harmonic steel in general) is not easy to manipulate, especially as regards the management of both ends of the string. Glad I could be of help Nwosu! Best of luck. i'm a jewelry maker who thought herself how to make jewelry but want to learn more.thank you ma for this lessons. Rhonda, you will have a blast creating your own jewelry. Once you get started you will find your way! Good luck. Thank you so much for such a wonderful hub.about 2 years ago I bout all of the supplies to make "something". lol I also bought several books. The one thing I didn't buy was the pliers. anyway all the stuff still sits in bags. Maybe now I can start using them. Cyndi10, I hope you enjoy making your own jewelry as much as I do. With three teenagers at home I understand the limitations of time! Good luck. So happy star stream that you are finding my hub useful to your work. Knowing what all the findings were used for was confusing for me when I first began this craft! It is an enhancement to my article to be able to provide your definitions for beading materials and supplies. It can be quite confusing to a beginner. Being able to gather all the various fasteners and connectors is important. starstream, thank you so much for the complimentary comment and I very much appreciate the link! Your article will prove very helpful to beginner jewelry makers. It takes such a long time to discover how these small and necessary items are used in construction. Very informative indeed. My interest in the arts and beading is a constant joy. Thanks! I will link your article to my beading article here. Excellent! Thanks for giving us the information. butterflystar, I love your avatar! Glad you enjoyed the hub. Thanks Global-Chica, good luck with your new craft. Hope you enjoy it as much as I do! 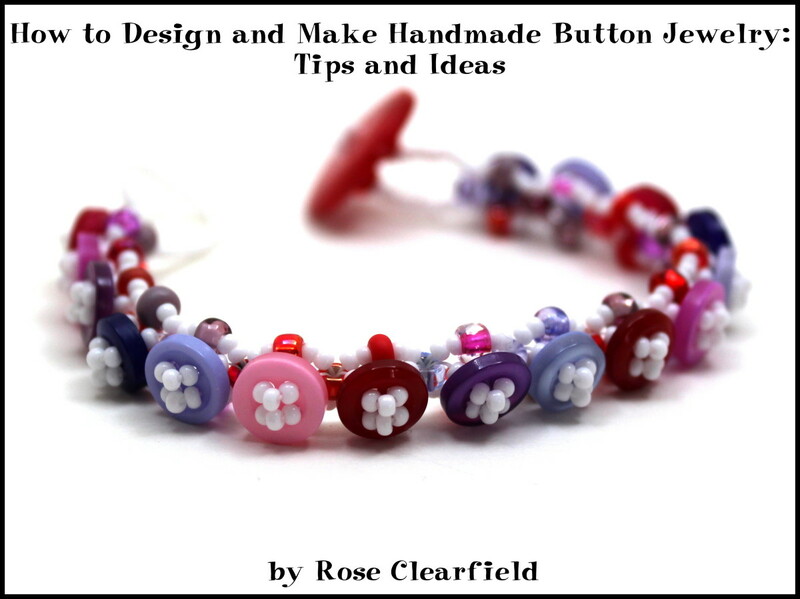 What an awesome hub for an aspiring beginner like me to get started with jewelry making. I think I will give this a shot and also love the fact that I don't even have to go to a crafts store to get the essential tools because you've already did the honor of showing their listings with Amazon. Voted up and useful! Thanks ChaplinSpeaks and Brooke, your positive feedback means a lot! Jewelry making - it is like a whole new language with all those tiny parts. I can see how it could be overwhelming for a beginner. You did a superb job explaining the basic requirements, and I think your Hub will inspire many to give it a shot. My daughter has an interest in making mini items and uses similar tools. I will pass this on the her, for sure! Glad you liked it formosangirl. Good intro to jewelrymaking hub. Voted up. I agree nifwlseirff. Browsing can lead to impulse buying which leads to undue or impractical in the long run spending. Hope you can rebuild your craft sometime soon. Jewellery supply shops are indeed overwhelming, especially for the newbie! I found it easier to select bits and pieces online, or write a list and stick to it, than to browse and buy. Having moved countries, my supplies and equipment were left behind. Someday I'll start again! Indeed. Being based in the UK there are lots of UK and EC rules. It would appear lots of people are in violation, I think. But I may well write a hub once I have sifted through the legislation. Thanks Tricia. Glad my hub was helpful. Good luck with the online selling. Once you've waded through the legalities it might make a great hub for someone else venturing into online sales! Thanks for the hub. I am just starting out and I have come across helpful folks like yourself and not so helpful ones that seem to focus on the craft. Thanks for the tips. I am just wading through the legalities of selling online. It's a minefield!! Thanks for the positive feedback starstream. I will definitely check out your hub! Thanks for the basics and up close focus on findings. It will be helpful for the new beginner. Sometimes just getting started with a little help to guide you will answer so many questions. It is a wonderful hobby which I pursue avidly too! I also have an article available here with some additional tips. My 12 year old niece has taught herself the basic idea of jewelry making and she does a really fantastic job. I'm going to share this with her so that she can bump up her techniques. The was a GREAT guide with a very thorough explanation. Thanks! 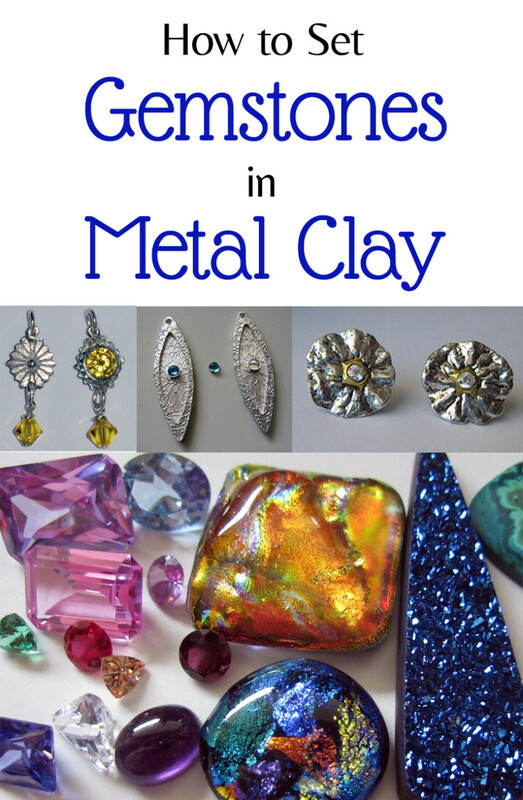 A thorough and well-written reference guide to custom jewelry making. Nice job. Great job! I taught classes and did product demonstrations at a Michael's store for a few years. You've explained what the basic supplies are in an easy-to-understand manner. I love homemade jewelry! At all the craft fairs, I usually make a bee line straight to the jewelry booths :) This is a great hub to get a beginner started with all the essential tools and accessories. Great job - voted up! Happy to have helped with you next project. Hope you and the girls have fun! I so want to learn how to make earrings and this will get me started with the supplies. I know my girls would love to participate. I see a trip to Michael's craft store in my near future! Thanks for the thumbs up 4wardthinker. I'd love to see a hub on your first jewelry making adventure! I've been wanting to try a little jewelry making. So that's how you use all those bits and pieces. Great how-to hub!